If you take any type of medication – whether prescribed or over-the-counter – you’ve probably read through the long list of potential side effects those medications can cause. Some of the most commonly prescribed medications feature a range of side effects that include everything from blood clots to skin discoloration. While most side effects certainly sound undesirable, one of threatening side effects that most people don’t consider is how some types of medication can impact the health of your teeth and gums. Below, we have listed just a few of the most common oral-health related side effects you can suffer from taking medication. Abnormal bleeding. Anticoagulants, aspirins, and other blood thinners are useful when preventing heart disease or stroke, but they can also cause your gums to bleed, especially during any type of oral surgery. Make sure to let Dr. Jarvis know if you’re taking any medications prior to undergoing any procedure so precautions can be taken to minimize bleeding. A change in taste buds. 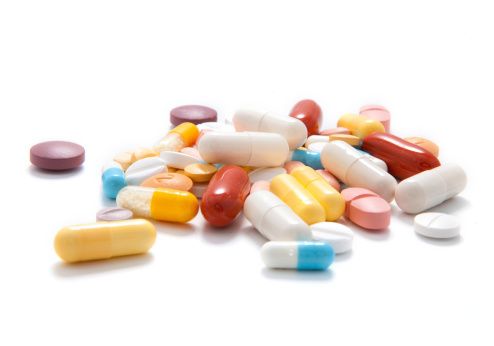 Certain types of medications, such as nicotine skin patches, cardiovascular drugs, and some brands of respiratory inhalers can cause a bitter or metallic taste to develop in the mouth, and some could even alter the way you taste food entirely. If you can’t stomach this side effect, discuss with your physician about changing your medication. Reactions in soft-tissue. Prescriptions that have been found to cause inflammation, mouth sores, or discoloration of soft tissues in the mouth are typically chemotherapy drugs, oral contraceptives, and blood pressure medications. If you suffer from any of these symptoms, Dr. Jarvis can recommend a dental care regimen that can help reduce any discomfort. Swollen gums. Gingival overgrowth, a condition that causes gums to enlarge, can be a side effect of taking calcium channel blockers, immunosuppressant drugs, and anti-seizure medications. If you take any of these types of medications, you’ll want to make sure to brush and floss gently, and talk with Dr. Jarvis about specific care instructions.